One of the most important aspects of campus ministry is a thriving small group system. In small group Bible studies deeper relationships are built, more personal application from the Word is discovered and accountability is established. In small groups, the introverts find a place where they feel comfortable speaking their mind and sharing their thoughts. It’s also the place where extroverts can learn, (though some need sitting on), the value of listening and letting others speak first. The purpose of small groups is, primarily, to get students into the Word of God, with the hope that they will not only be hearers but “effectual doers.” A Bible study that doesn’t have this emphasis isn’t actually a Bible study. Beyond the central goal of getting into the Word, lesser goals may vary. 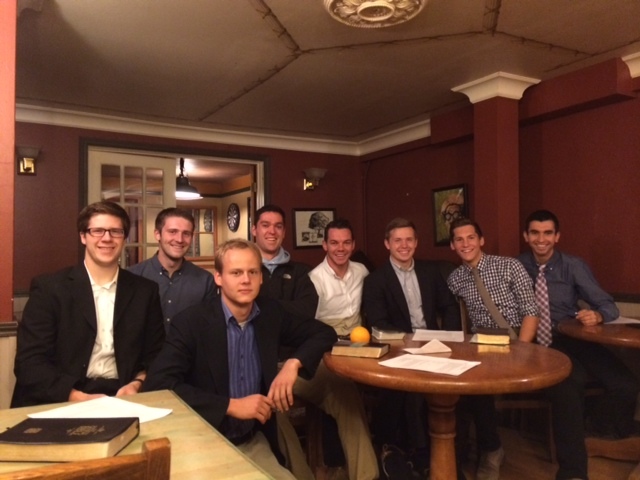 On a secular campus an important component of the small group may simply be fellowship. Hours spent in hostile classrooms can be very draining. In a small group study with other committed believers facing the same battle, the camaraderie and refreshment can be very sustaining. Being reminded that Christ is Lord and that there is such a thing as absolute truth is very needful. For students at a Christian college the temptations are different. Their temptation may be to coast, to drop their guard and to receive the riches of a biblical education as merely academic. Both temptations are a real threat and must be guarded against. Consistent small group studies can be a great help in anchoring us to the personal application of God’s Word, and uniting us to our peers who are fighting the same battles.